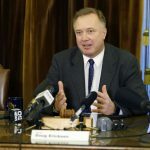 Republican Sen. Doug Ericksen has registered as a foreign agent in order to consult and lobby for the country of Cambodia. 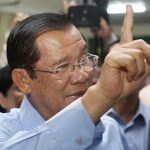 Cambodian Prime Minister Hun Sen warned opposition politicians Monday that they should act quickly if they want bans on their political activity lifted because he will soon rescind the opportunity. Cambodian police said Thursday they have arrested two Romanians and three Nigerians after seizing nearly 5 kilograms (11 pounds) of methamphetamine from one of them as he prepared to board a flight to Hong Kong. Cambodian Prime Minister Hun Sen, making a four-day visit to China, said Tuesday that Beijing has agreed to provide his nation with nearly $600 million in grant aid as part of a three-year assistance fund. Cambodian Prime Minister Hun Sen has met with Chinese President Xi Jinping during a visit to Beijing that reinforces ties between China and its closest ally in Southeast Asia. 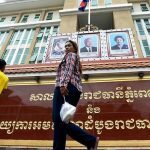 A veteran Cambodian politician and his son on Wednesday became the first among 118 opposition members banned from politics for five years to have the restriction lifted. Three Chinese warships arrived in Cambodia on Wednesday on a visit aimed at strengthening already close ties between the two nations. The opposition figure has been living in self-imposed exile in France. 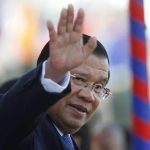 The eldest son of Cambodian Prime Minister Hun Sen has joined the inner circle of his father’s ruling Cambodian People’s Party, bolstering speculation he is being groomed to succeed to the premiership. Cambodian authorities said Saturday that they have seized more than 3 tons of rare African ivory hidden inside an abandoned shipping container, the country’s largest haul of elephant tusks in the last four years. In a rare step, the California Supreme Court has blocked Gov. 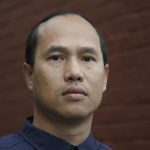 Jerry Brown's attempt to issue a pardon to a 37-year-old Cambodian refugee who killed a woman when he was 14 years old. 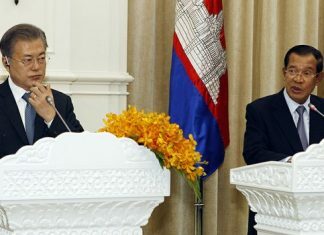 Cambodia’s Parliament passed legislation Thursday that could allow the lifting of a five-year ban on political activity by some top opposition politicians. 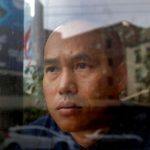 Six Cambodian union leaders on Tuesday each received suspended 2 1/2-year prison terms in connection with labor protests about five years ago in which four garment workers were killed and around 20 others hurt. 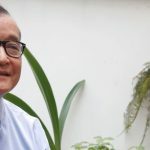 Cambodia's parliament will consider legislation to allow politicians banned from political activity to have the ban lifted, a measure that long-serving Prime Minister Hun Sen's government is touting as a step "to strengthen democracy and political space." 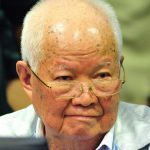 A top Cambodian government official has reiterated his government's intention to end the work of the U.N.-backed tribunal that last week convicted the last two surviving leaders of the Khmer Rouge of genocide, crimes against humanity and war crimes.